At TSS Pro Sealants, we can meet all your Sandstone Sealers needs. Sealants are used to protect your floorings used around your home from water, air drafts, and pests. 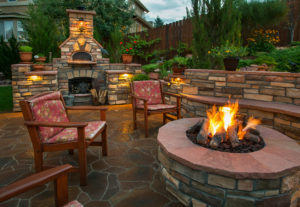 Almost any type of material can be sealed, from brick, tile, stone, and paving. Because when you install new flooring you want it to last through the test of time. And to make sure that your flooring lasts. You need to seal it with a sealant. Not many homeowners understand the importance of sealants and how they truly protect your flooring. In this article, we will highlight why Sandstone Sealers are so beneficial. And where you can find the best sealants on the market. Sandstone sealers are utilized to shield your porous surface. Sandstone is a durable and porous rock. It has lots of tiny pores which will allow fluid and elements to pass through at a rapid rate. And when this is left uncared for. It would immediately lose its natural look. And disintegrate as time passes. Sandstone is composed of modest-sized sand grains that range from calcium carbonate to iron oxide and silica among others. It is used in flooring, porches, pavers, stepping stones, vertical surfaces, showers, and countertops. Sandstone also comes in various colors. Which is why many homeowners are drawn to this stone. But it is important to know that the beauty of sandstone is influenced by the environment. Which is why using a sealant on sandstone is so important. This will ensure that the beauty and integrity of the stone last through the test of time. Using Sandstone Sealers helps in keeping maintenance to a minimum. Often times, when you have a sealer you do not need to worry about the formation underneath having problems. And when you feel like the floor through times needs another coat of sealer. You simply reapply the sealer. And that is all you need to do. Sandstones the are protected by a sealer do not stain easily. No matter where the stain came from. If it came from food, drinks, pets, etc., the floors are sure to be left without a mark. As long as a sealer was used. So, if you have kids or pets that are constantly making a mess in the house. Then you should consider having a sealant on your floors. This will ensure that your floors are always looking new. A sandstone sealant can be a beautiful addition to any home. And a good way to prevent the stone’s appease from aging quickly is to protect it with a sealant. It also helps combat weeds, molds, and mildews from growing at a rapid rate. It helps keep the sandstone looking as good as new. Because when you have new flooring. The last thing you want to do is replace it in 5 years. The sealants can even help protect the stone from the harsh heat of the sun. Which ensures that your stone still looks beautiful through time. You will discover that using sealers for your stone surfaces eliminates the need for frequent maintenance procedures. This will not only save you money. But saves you time and effort in the long run. Sandstone Sealers are one of the strongest sealants on the market today. Sandstone already has strong durability. That makes it resistant to some cracks, scratches, breaks, and chips. But its natural durability will not last for a long period of time. And to ensure that it stays durable over time against water or pests. It needs to be sealed with a sealer to ensure that it stays durable over time. When you are needing the best Sandstone Sealers on the market. Then you are needing to call TSS Pro Sealants. Because at TSS Pro Sealants we have developed our own Sandstone Sealers for over 18 years. Using formulas that we know work, offering protection for years. In the past, we have scraped and chemically removed more poor quality acrylic sealants. Which is why we started making our own brand in the first place. We felt like it was necessary to make our own sealants. Because we could not continue to use and sell sealants that we knew were not working. And would not last for our clients. Because our sealants are top quality. And are not thin sealants that will fade. Our sealants are the best on the market to make sure that your sandstone flooring lasts for decades against the outside elements. Give our friendly specialists a call today at 888-958-0556. And we can better understand why you are inquiring for Sandstone Sealers.